Westminster Fallfest, Inc. is currently accepting applications from charitable non-profit organizations interested in becoming a partner of Fallfest in 2019. This year’s festival will be held September 26-29. Click here to apply. What does a partner do? Selected partners will assist with planning Fallfest 2019, complete tasks delegated by organizers, provide and coordinate volunteers to manage and staff several activities during the four-day festival and attend mandatory monthly meetings. In return, each partner receives a portion of the proceeds generated from the event to benefit their organization. Each year Fallfest selects partner organizations through an application and interview process. Once your application is received it is reviewed and qualified applicants are selected to proceed to the interview process. Once the interviews are completed, organizations will be selected as 2019 Fallfest partners. Application is due by 2/11/19. Today, Together We Own It serves over 150 children across the state of Maryland; primarily in Carroll and Wicomico County. We strive to foster a sense of connection between youth and their community by connecting people and resources, mentoring, educational enrichment, and recreational empowerment. Our programs serve youth ages 0-18 and their families. 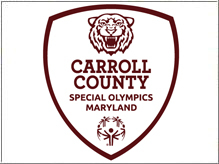 The mission of Special Olympics is to provide year-round sports training and athletic competition in a variety of Olympic-type sports for citizens with intellectual disabilities, giving them continuing opportunities to develop physical fitness, demonstrate courage, experience joy and participate in a sharing of gifts, skills and friendship with their families, other Special Olympics athletes and the community. Tender Care seeks to create a safe, non-judgmental environment where individuals can come to discuss their pregnancy related concerns in hope of a positive choice. 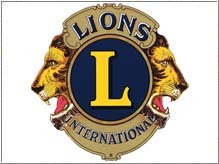 Since our charter in 1940, the Westminster Lions Club has actively supported the International Association of Lions Clubs, our Lions Club District, and the community of Westminster. All monies collected resulting from fund raising activities is returned to the community in the form of donations to charitable organizations as well as eyeglasses and scholarships to graduating high school seniors from the Westminster area.